During extreme diving situations, helium atoms make their way into the watch. As such, the process of decompression could dislodge the watch crystal. The helium release valve prevents this from occurring by allowing the excess pressure to escape via the valve and due to this, it is possible to dive below 300 meters. 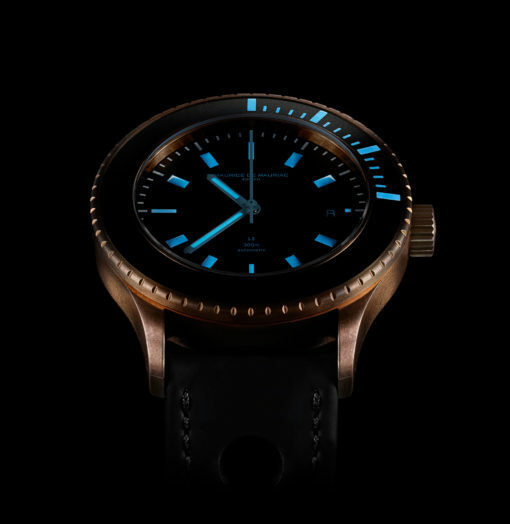 Das klare Design, die schwere Bronze mit ihrer lebendigen Oberfläche und Färbung, gepaart mit dem sehr tiefen Schwarz des Zifferblattes und der Lunette, strahlt Kraft aus. 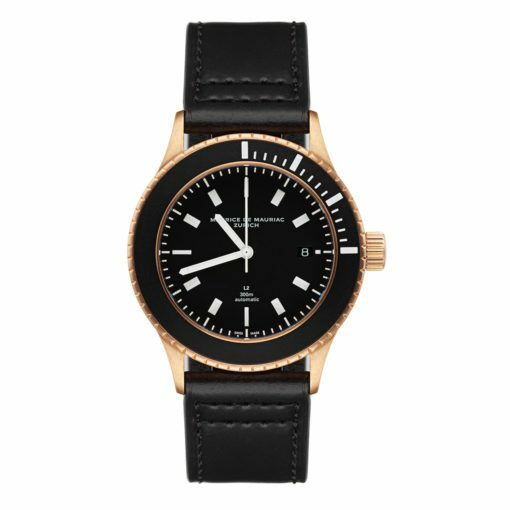 Es hat aber auch etwas Geheimnisvolles, weil das Schwarz alles Licht schluckt und in der Uhr zu speichern scheint. The design of the unidirectional rotating bezel has been reduced to the bare minimum to ensure safe and error-free handling at all times. The central crown sets the time and date. 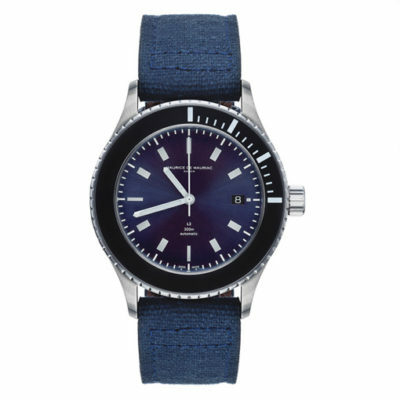 Please note our instructions for setting our mechanical watches. 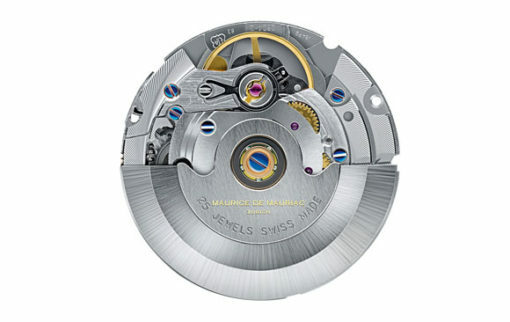 ETA 28.24-2 is one of the most famous Swiss watch movement. 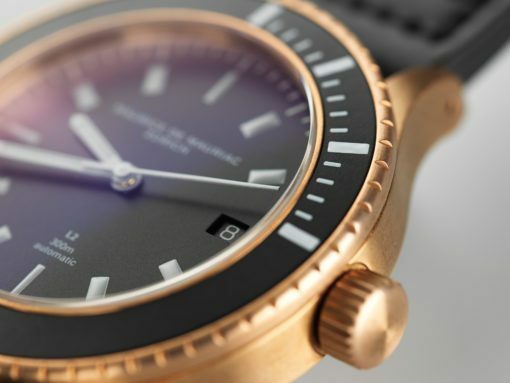 A really good dial has a perfect readability even in very bad and even completely missing light. 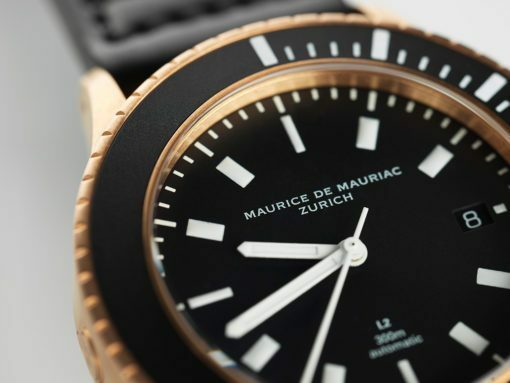 For diving watches, this can be vital underwater. When it comes to water, it's extremely luxurious to always see the time no matter when and how you need it. 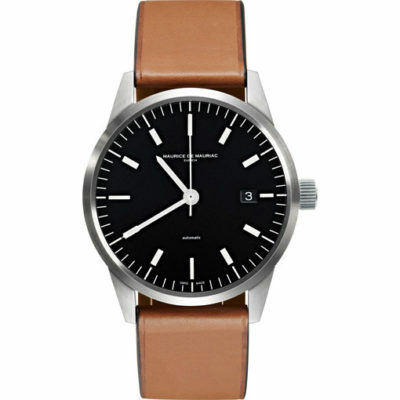 The designer Fabian Schwaerzler not only relied on the best Superluminova readability. He rigorously reduced the dial for readability. In this reduction lies the whole power of the L2. And if many dials fail, the L2 is still reliably legible.